When you have completed your count, reconciling can be unseful. 1: Open Rapid RMS on your iPad. 2: Go to Inventory Count. 3: Click on reconcile option. List of reconciled invoices would display, which are reconciled from either recall or join. 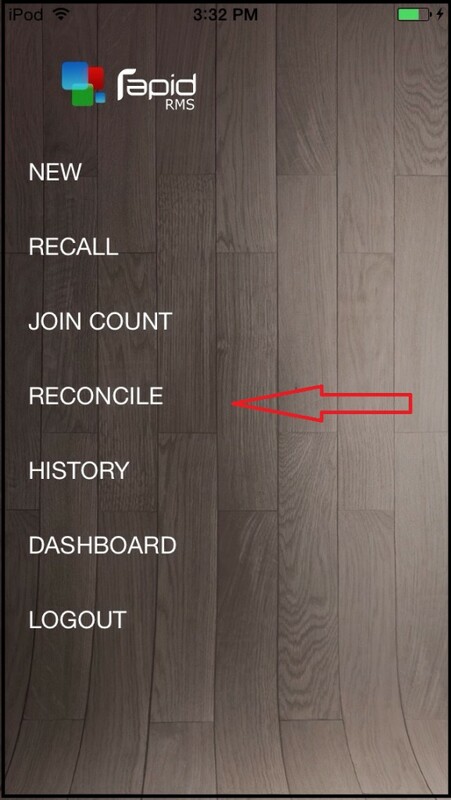 4: Click on reconcile which you want to complete. Invoice will open in edit mode. 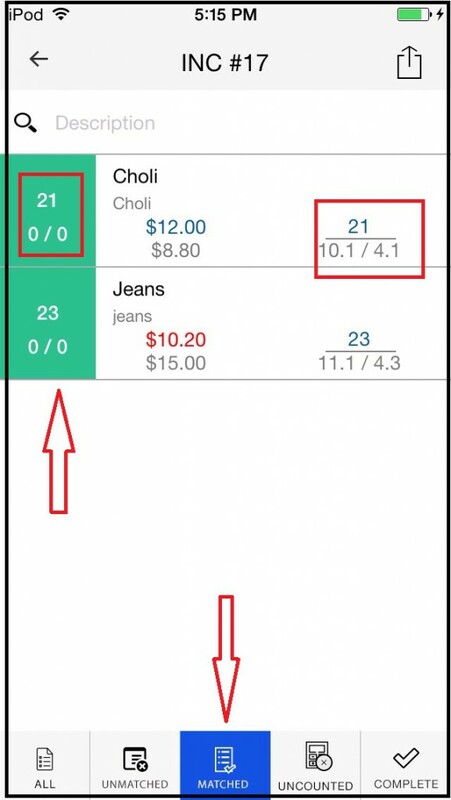 When you open any invoice, then list of all item display which you have added for counting. When you click on unmatched then list of items display which new added stock is not match with original stock available in inventory. And vice versa matched is display list of item which new added stock is match with original stock available in inventory. 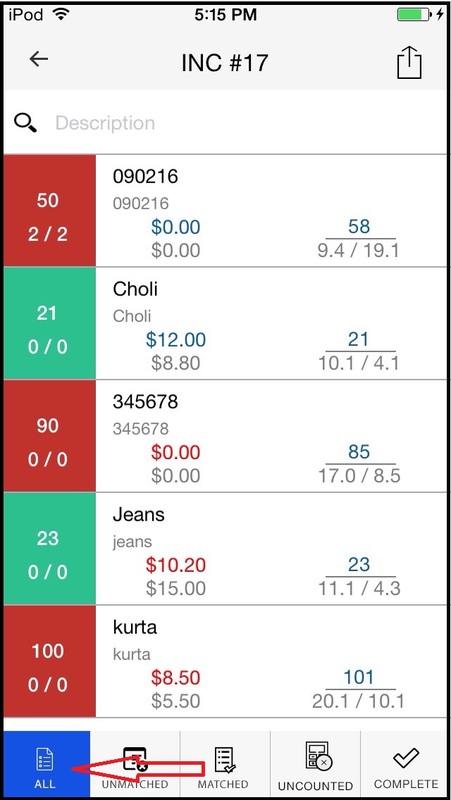 Click on Uncounted option to see which items are not calculated from inventory. 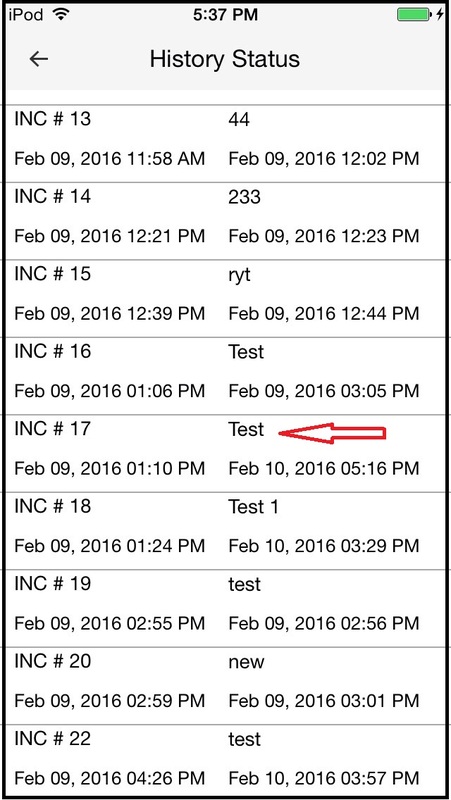 Items are not display which are in process, Means if item is either in recall or in join or in reconcile then it will not display. And if your counting is completed then click on complete to finish counting. Completed invoices are listed in history section. 5: Click on history option from main menu. 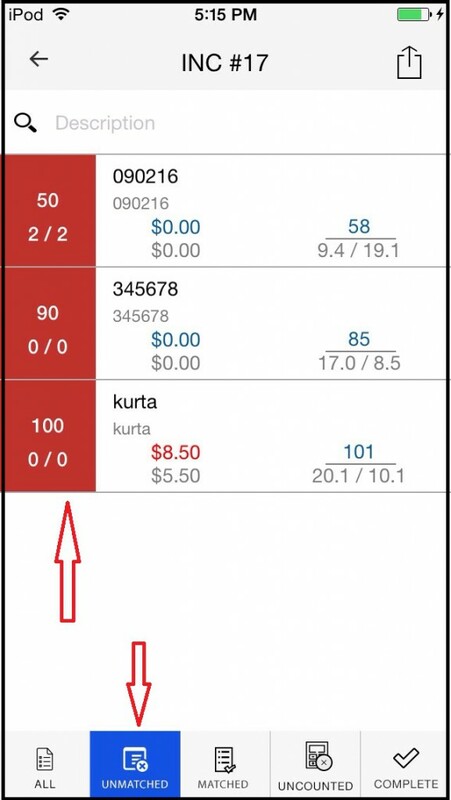 Completed invoices you can see with created and started date of counting in history section. 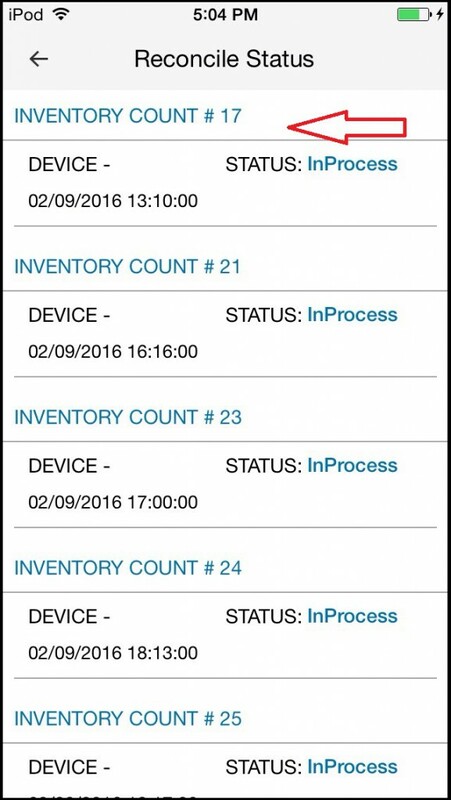 From log out button you can logout from inventory count module. And by clicking on Dashboard you can redirect to dashboard it self.